Are you buying too many toys for your kids?? 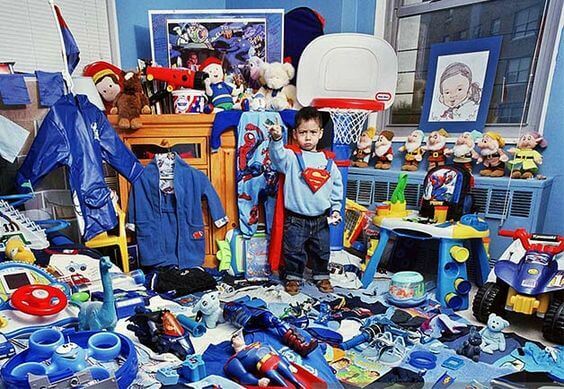 Children leave toys everywhere in the house. What a mess! Sure, there’s no doubt that playing is critical for child development. But does the NUMBER OF TOYS affect how children play? Alexia Metz and her team from the University of Toledo tested this question. They gathered thirty-six toddlers between one and three for a couple playdates at the laboratory. On one day, there were SIXTEEN toys. On another day, there were only four. Researchers then watched how the children played and recorded the time spent with each toy. Their findings? Kids given more toys were quick to cycle through them. And with little focus given to each one. But toddlers given FEWER toys engaged with each one longer. And also more creatively! An ordinary bucket can transformed into a drum! Or a hat! Turns out that too many playthings can DISTRACT kids. That keeps them from exploring and developing attention skills. So bring out only a few toys next time. And afterward, can we also also play CLEAN-UP? !